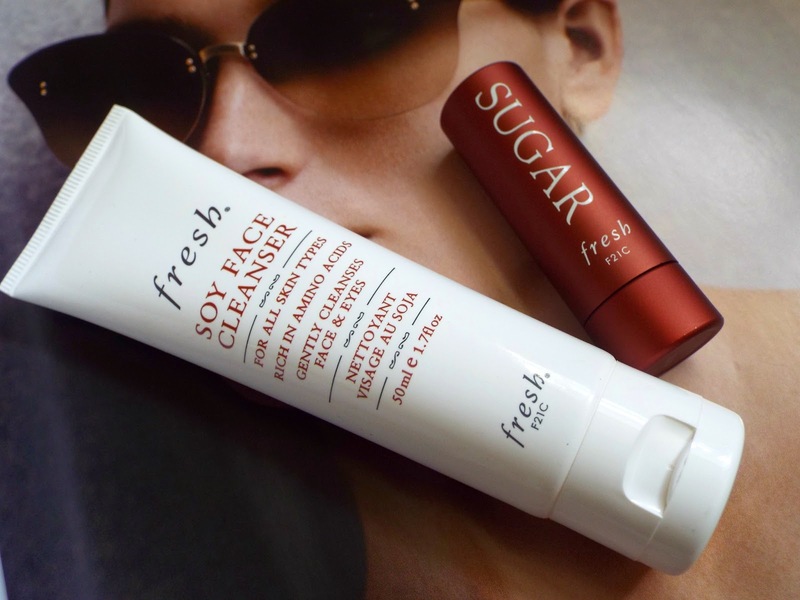 Fresh is such a covetable beauty brand and for very good reason! For years I've been so keen to get my hands on one of the iconic original lip balms but didn't want to pay through the nose to have one shipped from the U.S. You can imagine my delight then when I came across a blog post detailing the fact that a Fresh store had opened right here in London, meaning all I had to do was jump on the underground and make my way to Baker Street to finally call one of these luscious lip balms my own! Located on Marlybone High Street, the Fresh store is small yet absolutely packed full of products and smells of zesty warm sugar. In other words, it's bliss. The shop has a real apothecary vibe with attentive, knowledgeable staff who seemed to really know their stuff. I also picked up a travel sized Soy Face Cleanser which will be getting its own review soon. There were so many scrumptious smelling skincare and body care products on show, just willing me to buy them, but I exercised great restraint! To get my Fresh fix I thought I'd make a little wish list of some bits I'd like to pick up next time I'm near Marlybone High St. (You can't yet order Fresh online in the UK just yet). This is a very edited wishlist. Truth be told, if I could I would gladly have one of everything. It's just that kind of shop, ok? It's worth mentioning that a few weeks after I'd visited the Fresh store I received a lovely card from the staff, just saying that they hoped I enjoyed my visit! How sweet is that, seriously? If you live in or around London you can find Fresh at 92 Marylebone High St, Marylebone, London, W1U 4RD and they are open from 10am - 7pm Monday to Saturday and 11am - 5pm Sundays. P.S - Images used in wishlist taken from the US Fresh site here. So many products, I want to try from Fresh. I am so glad it has opened up in London, I hear so much good things about the products. Anything with the words 'sugar' in always has me hooked. They sound like a wonderful brand!